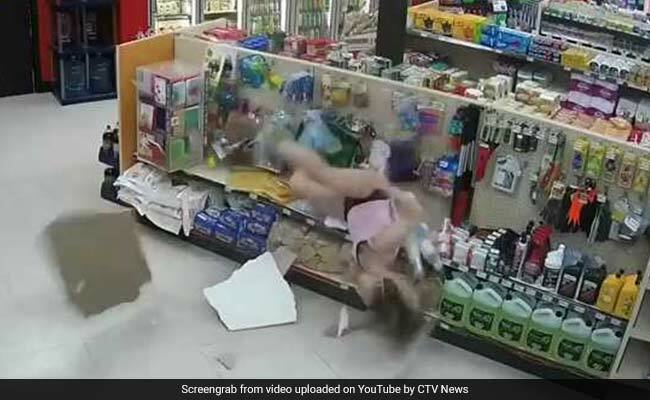 The female suspect comes crashing spectacularly through the ceiling. The male suspect and the officer have continued their cat-and-mouse chase with the female suspect wandering through the store. 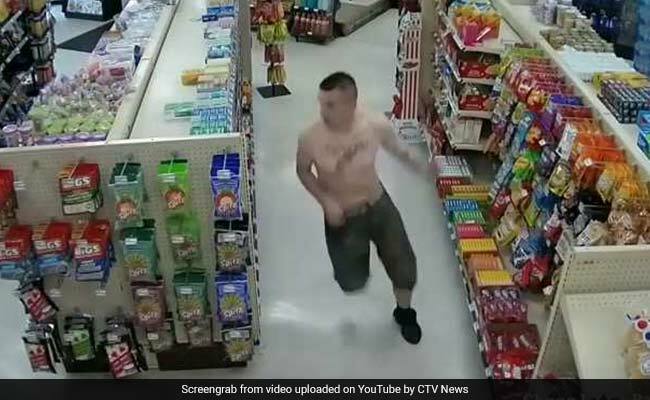 The male suspect loses his white T-shirt in the struggle and runs back into the store. "It was scary," store owner Bhagwant Chauhan told CTV News Edmonton. "You're thinking the person is in the back but she's up in the roof. Thank god everybody is OK."
Footage of the incident has since gone viral, thanks in part to a widely shared version of the video published by Slate that added "Yakety Sax" music to the background. But the real comedy comes from the video's remarkable original edit, which alternated perfectly between the male and female suspects' scenes, conveying unintended slapstick with nary a sound. Chaplin would have been proud.